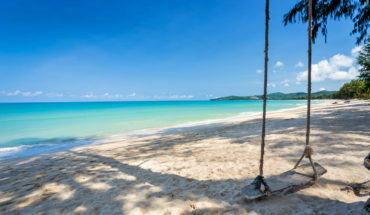 With Bangkok becoming more expensive, Phuket is the perfect place to spend Christmas 2018! There are some really fun Christmas festivities and events for people of all ages to enjoy. Whether you are looking for a serene location to spend Christmas Eve dinner or a fun spot to hang out and enjoy Christmas day with the whole family, read on to find out the best things to do in Phuket for Christmas 2018! Celebrate Christmas Eve dinner in Phuket with a lavish buffet full of the freshest seafood, traditional festive roasts and a huge selection of both international and local Thai cuisines. Enjoy your meal in a luxurious setting while being entertained by the live in-house band, a traditional Thai dance show and Christmas carols being sung by a local choir. Santa will also be there to give out surprises and gifts for the children too! LIMITED SEATS ONLY! Contact details below for more info on price and reservations. Spend your Christmas Day only meters from Karon beach in a festive ambience at the Hilton’s annual Christmas day lunch. There will be an impressive selection of seasonal dishes on offer featuring the freshest locally caught seafood, traditional roast Christmas turkey, fresh vegetables, salads, gingerbread treats and much more! Santa will also be there to spread the Christmas spirit, pose for holiday photos and hand out gifts to the children. Head down to Metzo’s Bistro and Bar at the Outrigger Laguna Beach Resort near Bang Tao Beach and indulge in a delightful Christmas Eve dinner, while listening to the sweet voices of the Ban Khok Wat Mai choir from the local school. The Metzo’s Christmas Eve dinner menu features an amazing selection of slow-roasted tender Australian Sirloin Beef and Lamb, Fresh Smoked Salmon, Rock Lobster, French Oysters, Roast Turkey and traditional Christmas Desserts which have been skillfully hand crafted by the talented in-house chef. 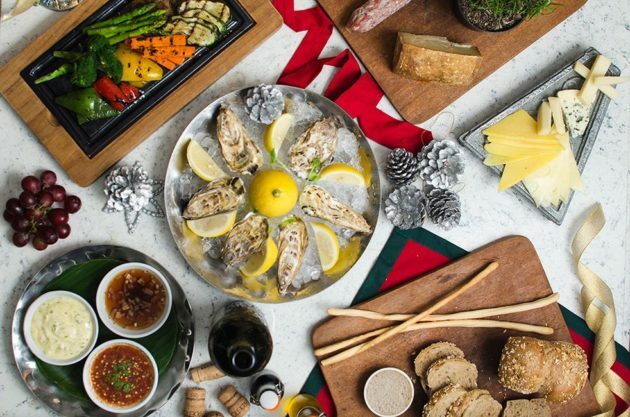 Spend your Christmas day feasting on a wide assortment of Charcoal grilled Seafood, roasted meats and vegetables, Tapas finger food and a succulent Christmas Turkey with all of the trimmings. There will also be a free-flow beverage package for selected beers, wines, cocktails and spirits for adults — and plenty of soft drinks, milkshakes and fruit juices available for the kids. Santa is also very likely to make an appearance at some point throughout the day. TIP: Make sure you book early to reserve yourself a table out on the terrace to enjoy the lovely views by the beautiful lagoon! Adult: THB 1,400++ per person food only or THB 2,590++ per person with free flow beverages. Child: THB 600++ (aged 4 – 12) inclusive of free-flow non-alcoholic beverages. 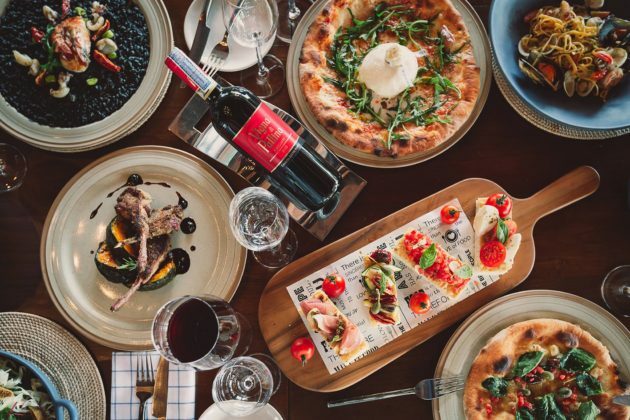 Treat yourself this Christmas Christmas Eve and indulge in an exquisite 5-course Italian feast at the VERO Trattoria & Wine Bar at the Pullman Phuket Arcadia near Naithon Beach. 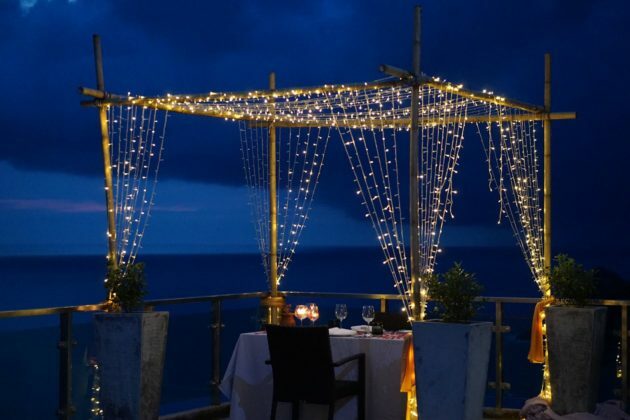 This Italian inspired festive themed menu is perfectly complemented with magnificent sea views of the Andaman Sea and a fine selection of both imported and local alcoholic beverages. Embrace the Italian tradition of taking your time to really enjoy good food, wine, ambience and conversation — while Savoring the Italian delicacies hand-crafted by their locally based Italian Chef de Cuisine, Roberto. Free for children aged 7 years and under. See our villas in Naithon. Grill & chill this Christmas at the Pullman Arcadia’s Christmas Day Poolside BBQ! Choose from a premium selection of the finest cuts of meat — grilled to order exactly how you like it. There will also be a wide variety of fresh seafood and delectable Christmas inspired side-dishes on offer as well. For drinks there will be plenty of soft drinks, tropical fruity cocktails and icy cold craft beers to choose from while you kick-back and relax by the pool. 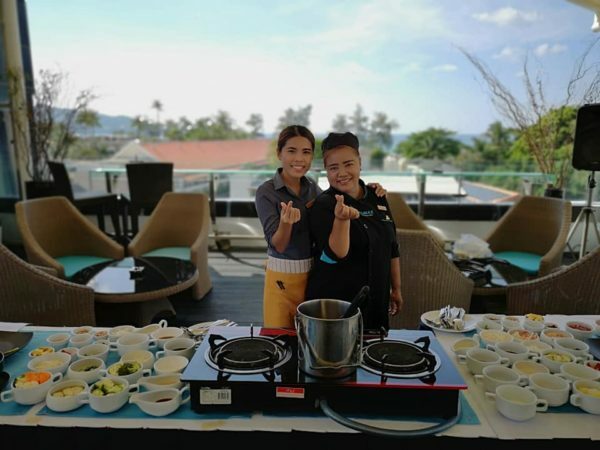 This fun poolside BBQ is a family friendly event and is guaranteed to be a great way to spend Christmas day in Phuket for people of all ages. This traditional Christmas Eve buffet dinner menu consists of a delicious buffet dinner at one of Phuket’s premiere luxury hotels. 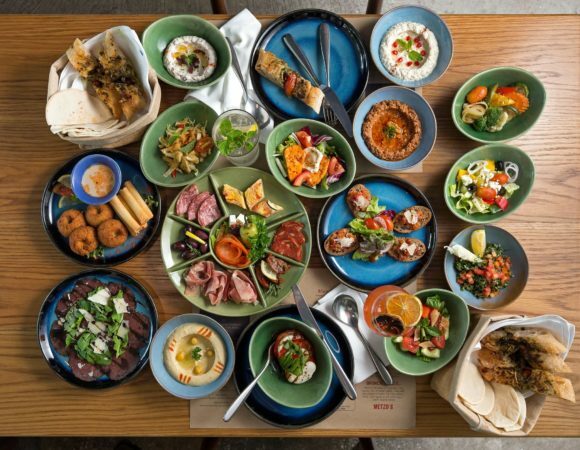 Here you will find a diverse menu of Christmas meals that include a wide range of yummy flavours including fresh sushi and sashimi, imported Australian lamb chops, Pepper rubbed grain-fed flank minute beef steaks, Yakitori chicken skewers, traditional roasted Christmas turkey and much more! There will also be plenty of entertainment throughout the night with a Christmas choir singing all of your favourite carols, a live band to lighten the mood and a special visit from Santa Claus! Enjoy Christmas Brunch in a seaside setting on the shores of Mai Khao Beach, at the Andaman Grill seaside restaurant. There will be a wide selection of amazing fresh dishes available which includes a mouth-watering honey baked ham, complete with homemade applesauce and Dijon mustard! And a dessert menu full of tasty Christmas-time desserts. 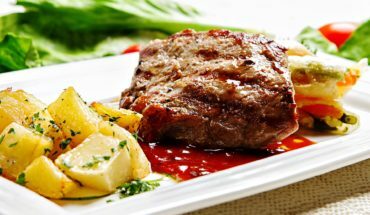 There will also be plenty of other traditional roast meat options at one of the many carving stations – as well as fresh seafood and salad dishes too (if meat isn’t your thing). The highlight of the day will be a visit from Santa to hand out gifts to the children and pose for those unforgettable ‘Christmas in Paradise’ photo opportunities. 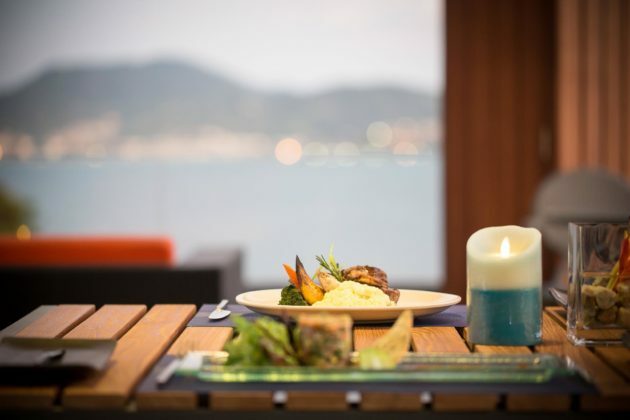 Celebrate Christmas Eve this year in style at the Latitude 98 Restaurant inside the Wyndham Grand Resort near Kalim Beach — just north of the busy Patong area. Enjoy an intimate evening in a beautiful tropical setting surrounded by stunning views of the Andaman Sea. The Christmas Eve buffet will have all of your favorite festive meals on offer, including the traditional Christmas Turkey, roast vegetables, fresh seafood and a huge selection of tasty local Thai salads and desserts. There will also be carols being sung while you dine to add to the Christmas feeling and a surprise visit from Santa Claus at some point during the evening! Adult: THB 2,900++ (includes 1 glass of Sparkling, Red or White wine). Celebrate the night before Christmas with Christmas Eve celebrations at The Naka Phuket. 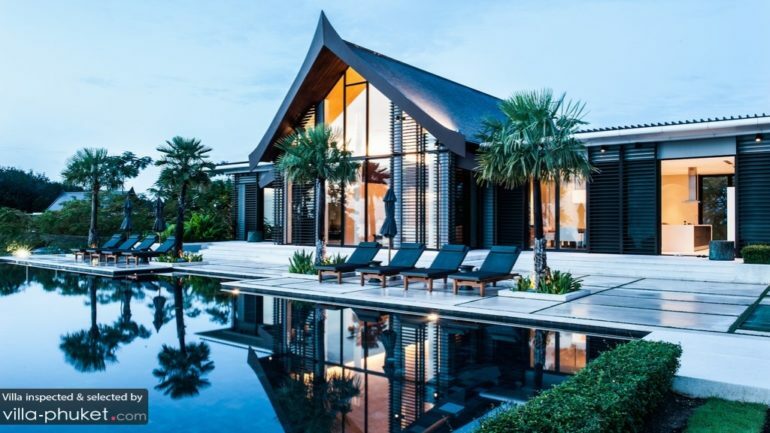 Set on the idyllic west coast of Phuket, this venue offers an exclusive location with stunning views and access to a beautiful private secluded beach. 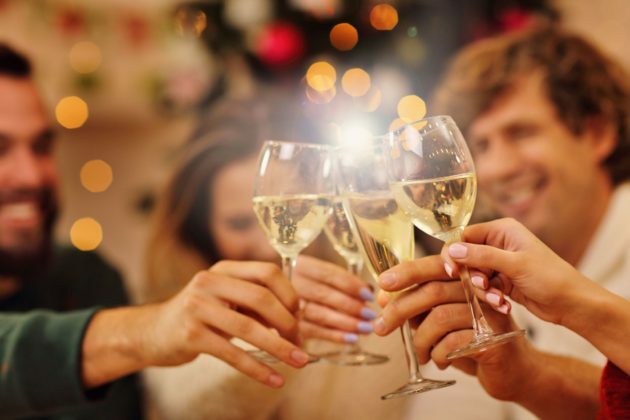 You’ll enjoy a truly unique Christmas dining experience consisting of a delicious Christmas set menu and a wide range of tasty beverages for people of all ages – including local and imported craft beers and wines, soft drinks and huge selection of tasty fruit cocktails. TIP: The terrace dining area provides a 360-degree panoramic view over beautiful Nakalay Beach but you’ll have to book early to make sure you get a table! *Early bird offer: Book & pay before 22nd December to get 10% discount. Sit back, relax and enjoy the views at the annual Christmas Day Lunch hosted by Blue Mango Bar and Grill near Tri Trang Beach – just south of bustling Patong Beach. From the stylish interior décor to the expansive terrace dining area overlooking Tri Trang bay and surrounding hills, you’ll be spoiled for choice when it comes to picking an idyllic spot to enjoy your perfect Christmas day meal. The chefs at Blue Mango have planned a delicious range of popular Christmas meals to choose from and their unique open kitchen gives you the opportunity to witness their talented chefs in action while they work. 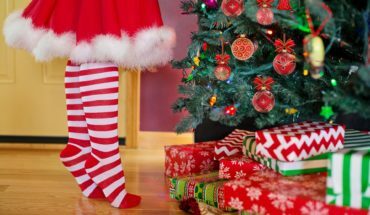 There is also a scheduled appearance by Santa to greet guests and give out presents. And there will be plenty of fun Christmas activities such as singing of Christmas carols throughout the day. Chill poolside this Christmas day and enjoy a delectable 3 course set Christmas lunch menu and selected beverages at the Climax Poolside Bar and Grill Restaurant. 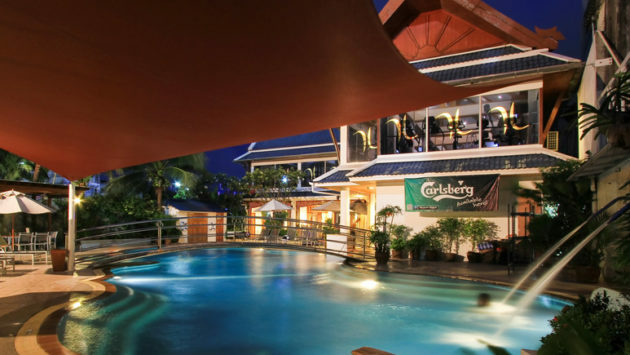 Located high above the rooftops of the main party district of Bangla Road, this hidden gem of a venue offers uninterrupted views across the entire town of Patong and out towards Patong Bay. On Christmas day you will be able to soak up some Merry Christmas vibes while soaking up some tropical sun rays on one of the many comfortable sun lounges out by the pool. 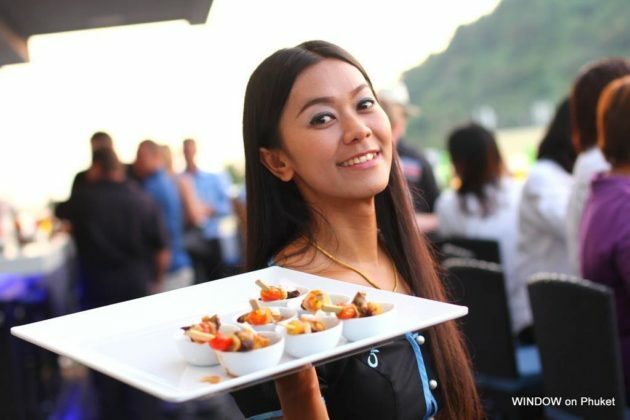 The extremely friendly local staff at Climax Bar and Grill are known for their amazing hospitality and will guarantee you have a very merry and memorable 2018 Christmas day in Phuket! Experience the elegance of a Christmas Eve Gala Dinner hosted by Chom Talay Restaurant at the Katathani Phuket Beach Resort (near the popular tourist area of Kata Beach). 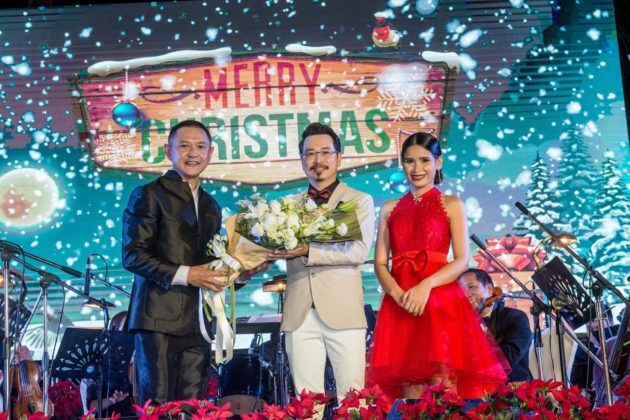 You will have a truly unforgettable Christmas Eve as you feast on a traditional Christmas style buffet dinner in a stylish setting – while enjoying the joyful sounds of Christmas carols being played by a melodic Symphony Orchestra. Santa Claus is also going to make an appearance with plenty of Christmas joy and gifts for those in attendance. See our villas near Kata beach. The Yorkshire Hotel restaurant has built a reputation in Phuket for serving high-quality home-style cooked food — so you can guarantee their special Christmas Day Lunch and dinner will be absolutely amazing! They will be serving all of your favourite Christmas inspired meals including honey baked ham, fresh seafood and roasted Turkey with all the Trimmings! There will also be a visit from Santa, live music and Christmas carols throughout the day and evening.